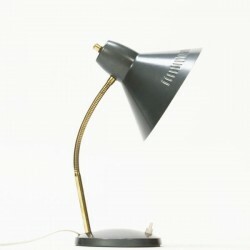 Table lamp from the sixties probably from the brand Philips. 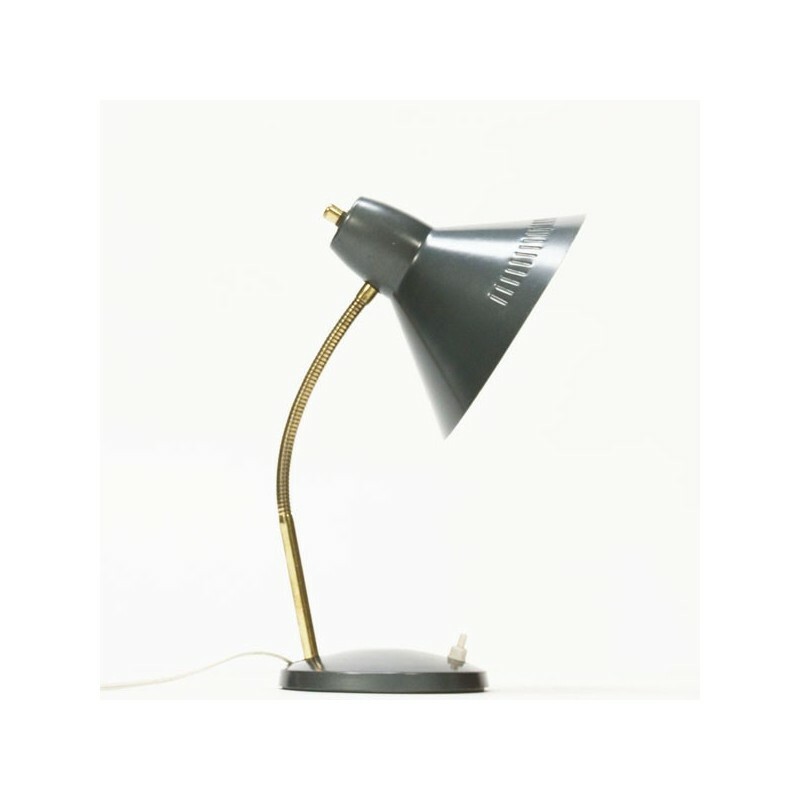 The lamp has a gray colored cap and base and has a flexible arm which can adjust the heigt . The condition is good considering the age, see the detailed pictures. The size is up to 35 cm the cap has a diameter of 18.5 cm.